People living on the South Pacific island of Ambae were evacuated from within a 6.5km (4 mile) radius of a volcano after it erupted, spewing rocks and noxious gases. The Manaro Voui volcano is part of Vanuatu, a nation of 80 islands west of Fiji. According to the local geo-hazards department, increased activity was observed at the lake-based volcano last Saturday. The agency raised the threat to level 4 and warned that villages surrounding the mountain could experience “unusual volcanic hazards” like flying rocks, ash falls and acid rain. A National Disaster Management Office spokesperson admitted it’s difficult to predict what will happen next. A member of the Vanuatu national parliament, Ralph Regenvanu said a state of emergency was declared on Ambae Island on Monday. A government hazard map reveals that scores of communities on the 398 km sq-island could be in the path of catastrophic lava flows. 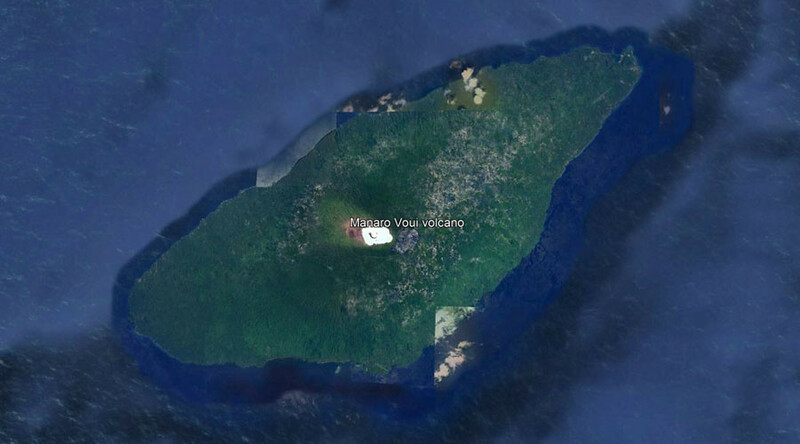 Ambae Island has an estimated population of 11,000 people. RT.com has contacted the Vanuatu government for further comment.